Passwords can easily be lost or forgotten which could potentially lock you out from your PC. With these five helpful tips in mind, you can keep a peaceful mind that your system is secure and that you can obtain your password in case it is lost or forgotten. Today many users like creating passwords using the name of their children or any part of the street address or birthrate or setting a common password like “123456”, “password”, etc. which are vulnerable to be cracked. The stronger it is, the more difficult it will be to crack or guess your password. A strong password mixed up with upper and lower case letters along with symbols and numbers will definitely improve your computer security. Today it’s not an easy task for one to create various strong passwords that is easy to remember yet hard to be guessed. While you may find it convenient to use the same password for various accounts, this could be dangerous. If someone compromised your password for one account, they could then easily access other accounts with the same password. Passwords can be easily forgotten or lost. In Windows 7, the easiest method to ensure you’re not locked out if you forget your password is to create a “Password Reset Disk.” This way, if you lose access you can quickly reset Windows 7 password with the disk. Please note the password reset disk will only work for the account it was created for and cannot be used to reset the password of another account. Remember to store this disk in a safe place so that no one else can find it and reset your password themselves. If somebody finds out what your password is, getting access to the file in which you had saved it, or the paper or folder that you had copied it on, your system and data will be at risk. To avoid this, it is advised to keep changing your password frequently. This reduces the possibility of your password being hacked. 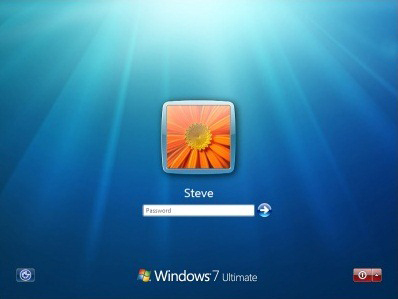 If you lose or forget your Windows 7 password and you don’t have a password reset disk, you can use your Windows 7 installation disc and access the recovery options to bypass it. This is a very efficient method and works well but you must have a viable system restore point to use that was created before you started having logon issues. If you don’t have a Windows installation disc, can’t find your Windows installation disc, you can also create a Windows 7 system repair disc to use to boot to the system recovery options that can help you recover the forgotten password. These tips should help you to choose a safe, secure password as well as get back into your computer should you forget the password. Now, you have no reason not set a password on your Windows computer to make sure you stay secure from prying eyes. If you have any other Windows password tips, please feel free to share in the comments below.